Saskatchewan Provincial Parks officially open for the season on Thursday, May 18, 2017. 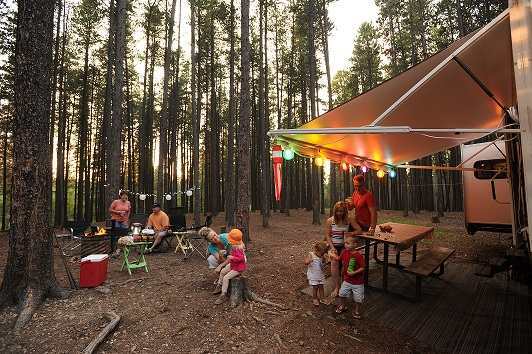 Provincial parks continue to be among Saskatchewan’s most popular vacation destinations. With a record of nearly four million visits in 2016, the parks are preparing for another busy season. As in past years, an alcohol ban will once again be in place from Thursday, May 18 to Monday, May 22 inclusive. This alcohol ban affects all campgrounds and picnic areas within provincial parks and recreation sites. The ban is also in effect for several regional parks. Cottages and commercial businesses in provincial parks are not affected by the ban. As it is still early in the season, a number of parks may have reduced services. In some cases, parks may be under a precautionary drinking water advisory as they prepare their water lines for the year. It is recommended that visitors check ahead for the services that will be available by going to www.saskparks.net/SpringCamping. A list of available services is posted and will be updated regularly. In 2017, Canada is celebrating its 150th anniversary. Saskatchewan Provincial Parks will be celebrating with special programs throughout the season. Free day entry will be offered in provincial parks on Canada Day, July 1, and Canada’s Parks Day, July 15. In addition to those two special days, Saskatchewan Provincial Parks will offer a special 150-themed geocaching program. We also encourage visitors to “Picture Yourself” in a Saskatchewan Provincial Park. Visitors can choose their favourite provincial park, find the picture frame, snap a photo and share it on the SaskParks Facebook page at www.facebook.com/saskparks. For those campers who like to plan well in advance, some provincial parks offer online reservations for fall camping. Campsites in certain campgrounds at Blackstrap, Buffalo Pound, Cypress Hills, Duck Mountain, Moose Mountain and Rowan’s Ravine are available now for reservations to the end of September. For those who prefer to make last-minute plans, many of our parks will offer first-come, first-served camping in the fall. Operating dates will vary; check www.saskparks.net/FallCamping later in the summer for availability. In addition to the Canada 150 events this year, provincial parks will continue to offer a wide range of programs and activities, including Learn to Camp, Learn to Fish, interpretive activities and much more. This will be an exciting year in provincial parks and we look forward to sharing it with our visitors.